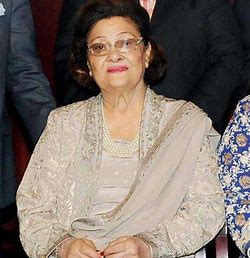 Late legendary actor Raj Kapoor’s wife Krishna Raj Kapoor passed away at the age of 87 years on Monday morning after suffering from a cardiac arrest. Kareena Kapoor Khan’s sister-in-law and actress Soha Ali Khan too took to social media to offer condolences. Krishna Raj Kapoor is survived by her five children - Rishi Kapoor, Randhir Kapoor, Rajiv Kapoor, Ritu Nanda and Reema Kapoor Jain. She tied the knot with the late legendary actor-filmmaker Raj Kapoor in May 1946. Reportedly, the last rites will be performed at Chembur crematorium.